As some of you know, I’m very interested in carpentry. I’m also very interested in electronics so it seems rather natural that at some point I would wind up with a CNC machine. To tell you the truth, the idea of owning one hadn’t even crossed my mind until about a year ago when my brother in-law bought a Shapeoko. I was intrigued, but didn’t quite see the utility in the machine. As the time passed he started making more and more interesting project and I began thinking about different ways I could use a CNC myself. So I spent some time looking around for a CNC that could be had for less than $2,000. The Shapeoko and the X-Carve are two machines that find there way into that price range as well as a couple of other smaller units. What immediately stood out to me about the Shapeoko was the community around it. 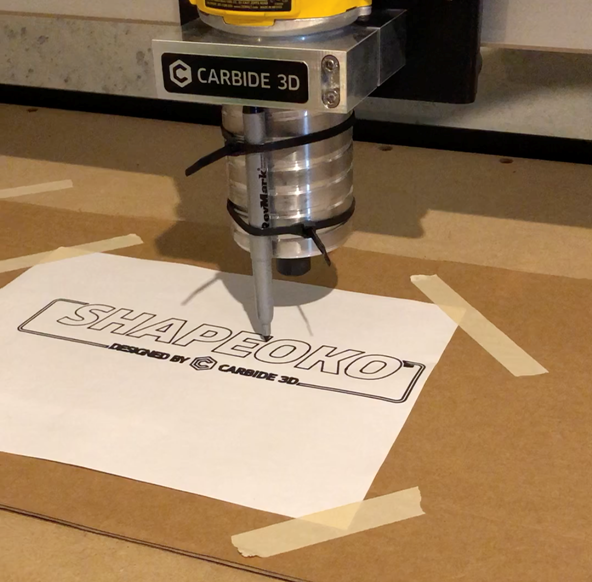 There’s a great forum and tons of great content out there about both the Shapeoko and the other Carbide 3d machine the Nomad. 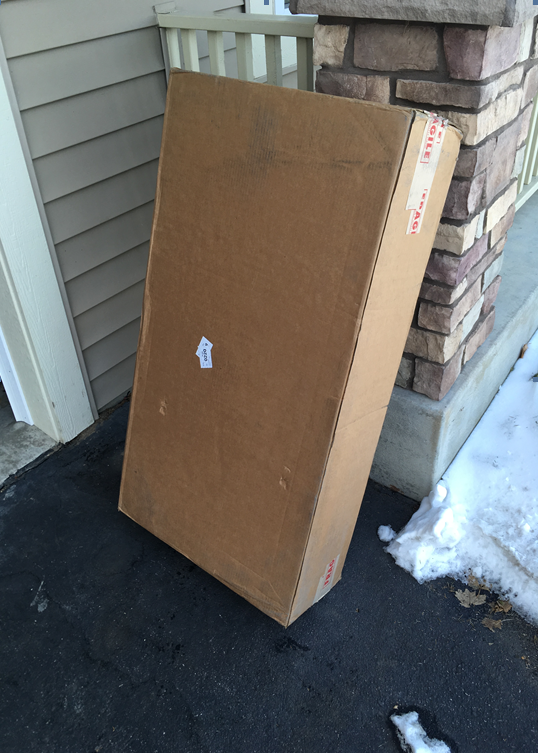 So I bit the bullet and ordered a XL last Friday and it showed up today. Once completed I was happy with how it turned out, but the instructions weren’t very good at all. I used the ones I found at this link and while things started off great, they quickly went down hill. I will note that here that I had been told to read through the install instructions before attempting the build. Had I done a better job of that I would have saved myself from some of these issues. READ THE INSTRUCTIONS FRONT TO BACK BEFORE STARTING!!! Carriages: Things quickly change from a walk through to just pictures. The text just says “Install Y-Left Carriage” but doesn’t list which bolts you were supposed to use. After some digging around and looking at the inventory sheet I managed to deduce which ones to use. Rail System: One of my side rails didn’t want to go on the rollers on the carriages. I finally managed to get it on but I was really concerned that it was too tight. Later on in the build you find out that he bottom rollers are on cams and can be adjusted for tightness. That would be handy to know when you’re installing the rails. Also – they make no mention of the fact that the side rails are unique. One of them is drilled to hold the controller and MUST go on the left of the machine. I put that one on the right (of course) and ended up having to take it apart to fix it. Also some of the bolt sizes listed didn’t line up with what was in my kit. Belting: This was the first time I noticed that the instructions were clearly copied from builds for other machines. Here we see that they say all three belts should be the same length when clearly the X drive belt need to be longer for the XL version. At the end of the section they randomly included a picture of the belts for an XL with one being clearly longer than the other two. Other than that – this section otherwise was awesome. I wish they all would have been this detailed! Wire Routing: This is where I really got stumped. The picture and descriptions here were in some cases clearly for a slightly different design. I think the difference is with or without limit switches. But it was pretty confusing to sort out how to use my parts that were different than what was in the pictures. At this point I started googling for other install guides and came across this which helped at least from a picture point of view. Here they also mention securing the last end of the drag chain later on but they never actually explain that. I ended up looking at the install guide for the XXL which had a section on tidying up which I think should be in the XL guide as well. The limit switch install also had pictures on it that didn’t line up with what was in my box. So all in all – I’m pleased with the outcome of the build. I do think that Carbide 3d could do a better job with the instructions though. I really feel like they went out of their way with everything else. 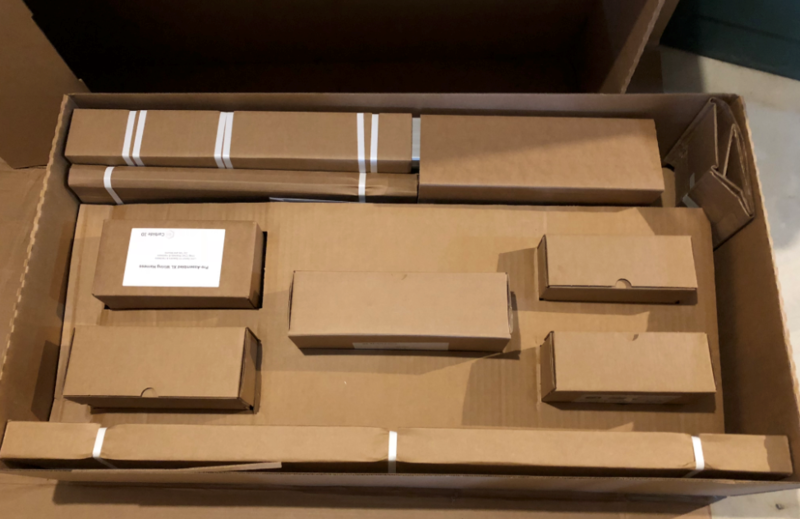 The packaging was great with the boxes clearly labelled. They included all of the assembly tools and even your first router bit to get you started cutting material. They even went so far as to include a sharpie and ZIP ties which I assume were sent along specifically so you could run the “Hello World” project. So many good great awesome things that I feel like could have been all brought together with a comprehensive set of instructions that ended with running the “Hello World” project. I think I’ll email them about the directions and see what can be done about that. I’d be glad to help fix them if that’s all that was needed. In either case, I’m anxious to write more blog posts about the Shapeoko and hopefully write some of my own tutorials. I’m anxious to see what this machine can do! Winston Moy’s Site: A great resource for projects using Carbide 3D machines (lots of Shapeoko). Make sure to check out his YouTube channel as well! 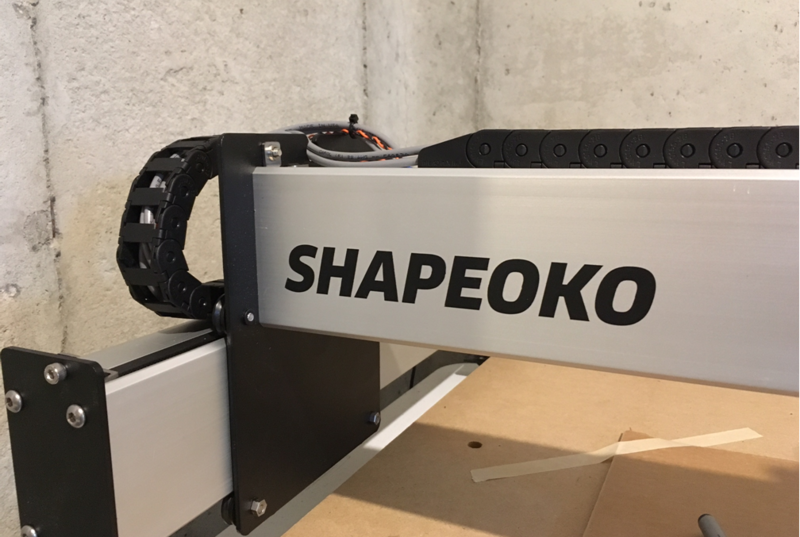 Popular WoodWorking: Review of the Shapeoko XL and here too.